Airflow and ventilation are particularly important in healthcare premises. To a hospital operating theatre, the air exchange has four main functions: to control the space temperature and humidity, to assist the removal of and dilute waste anaesthetic gases, to dilute airborne bacterial contamination, and to control air movement for minimizing the transfer of airborne bacteria. The key is to provide movement of clean conditioned air in the area where the operation is to be performed, and where the sterile instrument and drapes are exposed. This can be achieved by means of a down flow of air from an air filter bank or diffuser over the sterile field of the operation. For different countries, the infection control practices may not be exactly the same owing to the uniqueness in cultural background. Originally properly designed systems can be used wrongly to the extent that the intended functionality is reduced or even leading to increased risks. The ventilation systems in the older hospitals are very often not matching the up-to-date professional standards. The limitations are mostly the site constraint and the financial constraint. 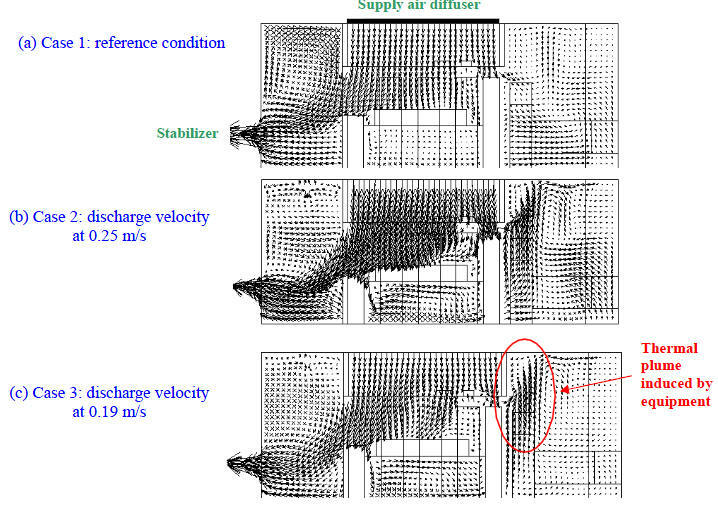 In case deviations from the standard are found, the application of CFD is useful to help understand the adequacy and appropriateness of the ventilation design, in particular when the influence of human movement is to be investigated. Chow TT, Yang XY. Performance of ventilation system in a non-standard operating room, Buildings and Environment, 38(12), 2003, 1401-1411. Chow TT, Yang XY. Ventilation performance in operating theatre against airborne infection: review of research activities and practical guidance. Journal of Hospital Infection, 56(2), 2004, 85-92. Chow TT, Yang XY. Ventilation performance in operating theatre against airborne infection: numerical study on an ultra-clean system. Journal of Hospital Infection, 59(2), 2005, 138-147. Chow TT, Lin Zhang, Bai Wei. The integrated effect of medical lamp position and diffuser discharge velocity on ultra-clean ventilation performance in operating theatre, Indoor and Built Environment, 15(4), 2006, 315-331. Chow Tin-tai, Kwan Anne, Lin Zhang, Bai Wei. A computer evaluation of ventilation performance of a negative-pressure operating theater. Anesthesia & Analgesia, 103(4), 2006, 913-918. Chow TT, Kwan A, Lin Z, Bai W. Conversion of operating theatre from positive to negative pressure environment. Journal of Hospital Infection, 64(4), 2006, 731-738. Wang Jinliang, Chow Tin-Tai. 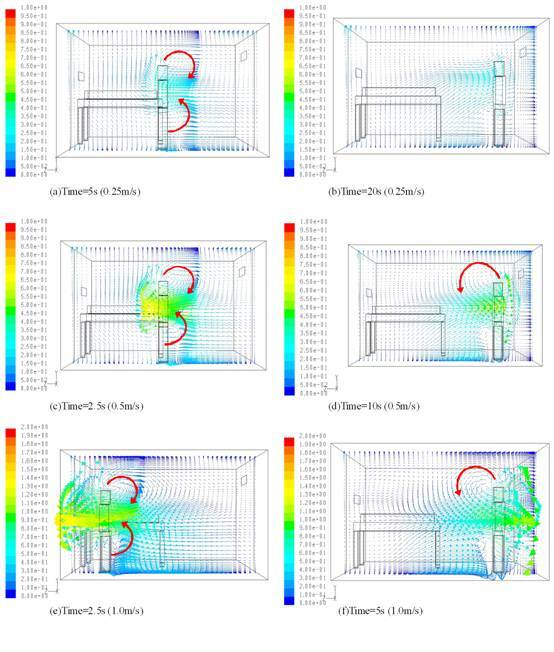 Numerical investigation of influence of human walking on dispersion and deposition of expiratory droplets in air-borne infection isolation room. Building and Environment, 46, 2011, 1993-2002. Chow Tin-Tai, Wang Jinliang. Dynamic simulation on impact of surgeon bending movement on bacteria-carrying particles distribution in operating theatre. Building and Environment, 57, 2012, 68-80. Wang JL, Chow TT. Influence of human movement on the transport of airborne infectious particles in hospital. 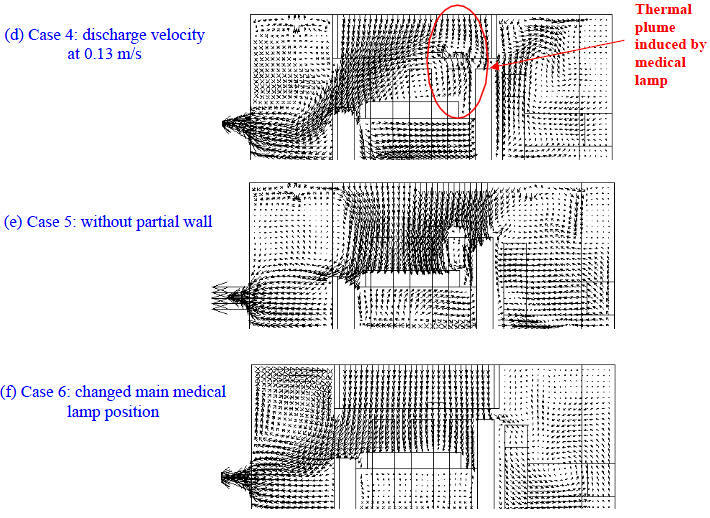 Journal of Building Performance Simulation, 2014, DOI: 10.1080/19401493.2014.905636. Chow TT, Ward S, Liu JP, Chan FCK. Airflow in hospital operating theatre �C the Hong Kong experience. Proceedings of Healthy Buildings 2000, the 6th International Conference on Healthy Buildings, Espoo, Finland, Aug 2000, Vol.2, pp.419-424. Chow TT, Lin Z, Yang XY. Study of air infection risk in operating theatre. Proceedings of Healthy Buildings 2003, the 7th International Conference, Singapore, Dec 2003, Vol.3, pp.643-648. Cheung KP, Cheung SHL, Chow TT, Lo MW, Fung KS. Proposed modular demountable isolation mini-en-suites for protecting patients and health care workers against infectious diseases in hospitals. Proceedings of Healthy Buildings 2003, the 7th International Conference, Singapore, Dec 2003, Vol.3, pp.114-119. Chow TT, Lin Z, Bai W, Kwan A. 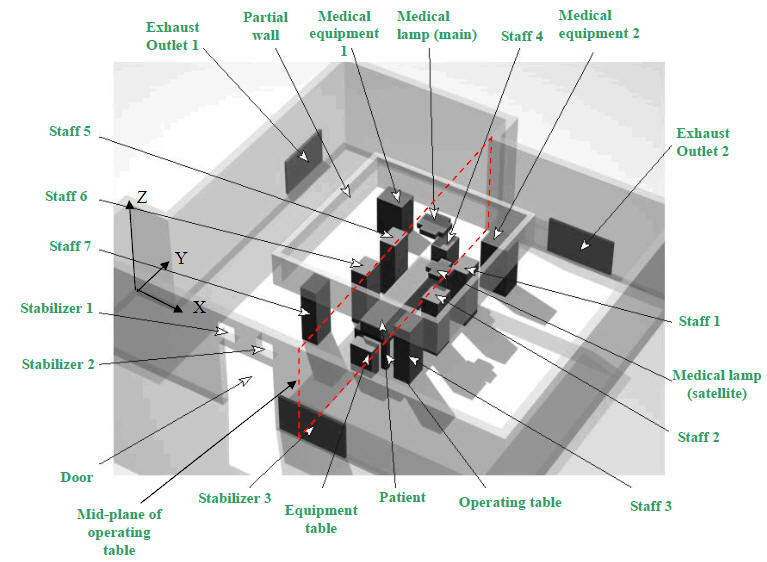 Design and performance of a negative pressure operating theatre. Proceedings of Healthy Buildings 2006, the 8th International Conference, Lisboa, Portugal, Jun 2006, Vol.IV, pp.367-370.